Was just thinking about the rune ids a few days ago, thanks so much! thank you for this, I yet to learn how to edit my blood gems lol. Are you swapping equipped runes with the blood gems you want? If so how do you apply it to weapon? Is this a way to changed equipped weapons? Or could it even be used for such a thing? 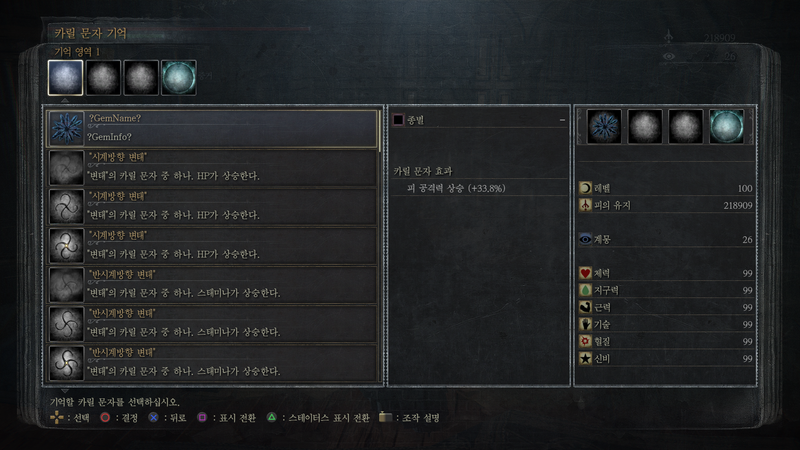 Jak957 wrote: Is this a way to changed equipped weapons? Or could it even be used for such a thing? I haven't tried it just yet, but it should be similar to items. 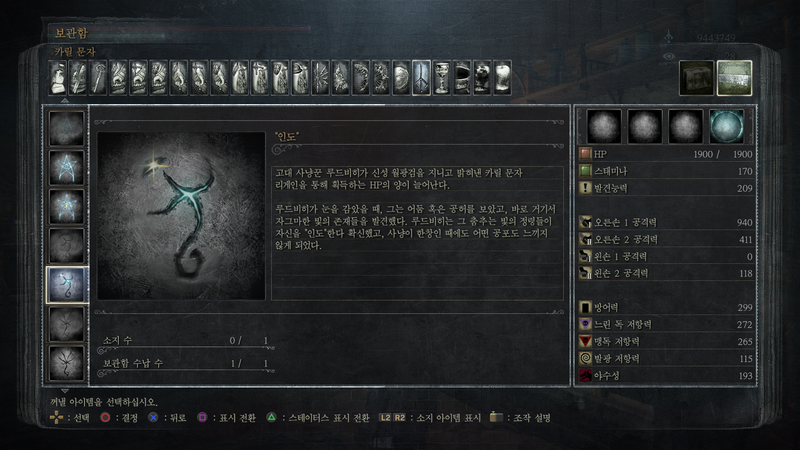 Hell, you may even be able to change an item to a weapon. I've changed pebbles into keys, molotovs in to ritual blood... and it all works. The new items are immediately shifted to their correct place in the inventory. 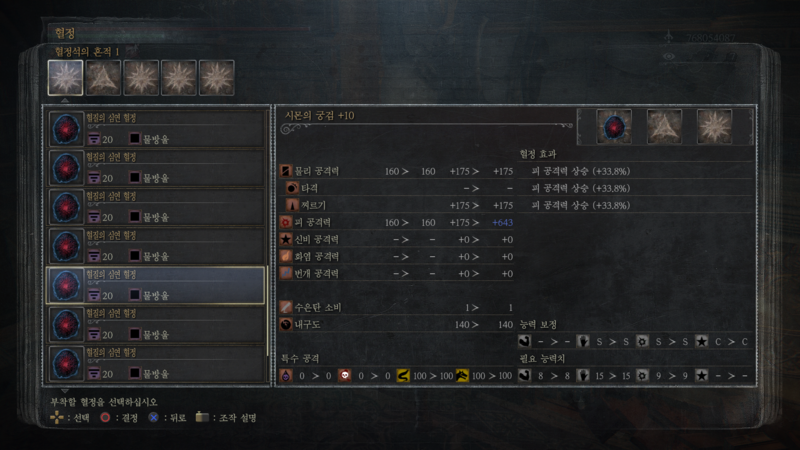 But weapons seem to use more digits than items, so it might get wonky. Therefore, it might be best to try swapping weapons to weapons first, and I'd honestly do it without them equipped just in case. I would go to advanced mode, search for your current weapon, and then change it to the weapon you want. In my (very limited) experience, items tend to be listed twice, so you'll need to change it twice. If that's true, then just make sure you do that. 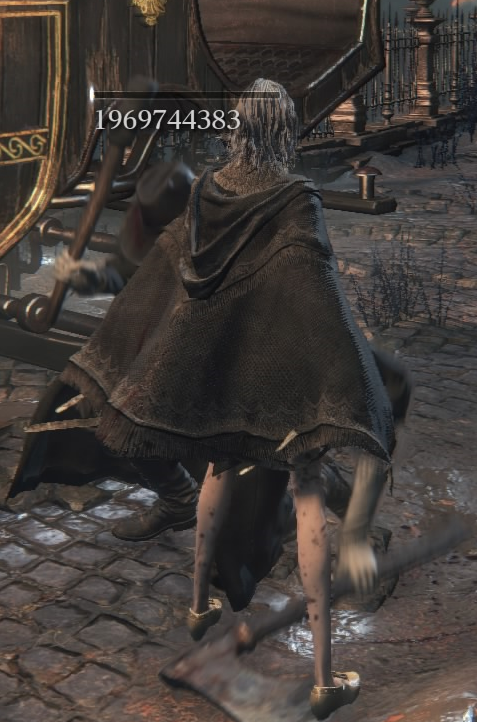 For example, if I wanted to change the Cane into a Church Pick, I would open advanced mode, select my character's save file I want to edit, then search for the Cane (80 B1 F4 01) and replace it with the Church Pick (80 C3 C9 01). Double check that the cane is only listed in your file once, just in case. Though there are work arounds if swapping doesn't work. Say you wanted the Chikage at the beginning of the game, but can't get weapon swapping to work. 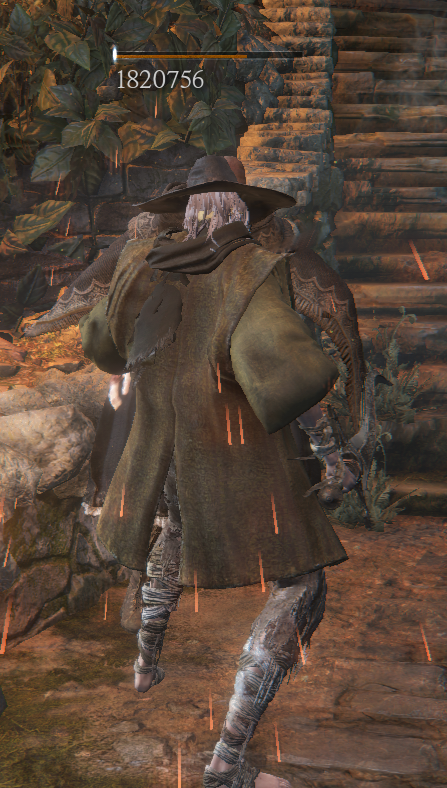 Just change a pebble into the Cainhurst badge and boom - you can buy the Chikage now. You can change another item to 1000 cold dews so you can buy it if you want. Just another option. I haven't tried it just yet, but it should be similar to items. Hell, you may even be able to change an item toa weapon. I've changed pebbles into keys, molotovs in to ritual blood... and it all works. The new items are immediately shifted to their correct place in the inventory. 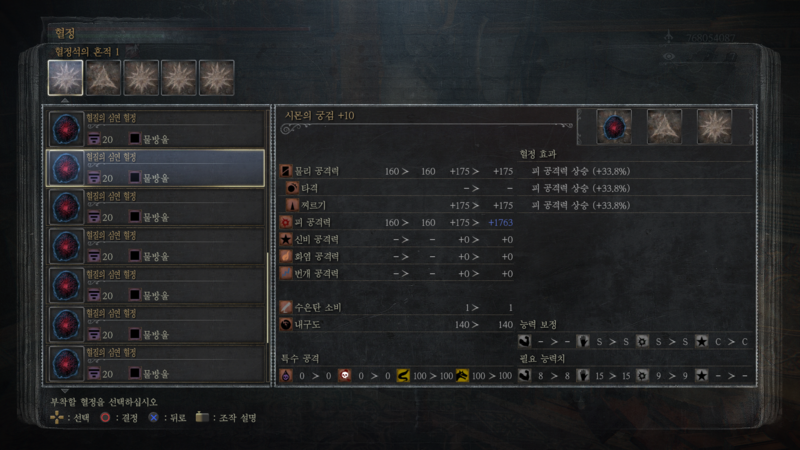 But weapons seem to use more digits than items, so it might get wonky. Okay so I figured out the best way to go about swapping weapons. What I did is I would buy the Hunter's Axe, then I would copy my save over and open it in advanced mode, then I would search for the hex value that the Hunter's Axe would fall under, 404B4C00, make sure that it is followed by a 01 and has a few numbers before as well, such as 08 or something similar. Then just find the weapon you area wanting to use and replace the values. Do not continue the save, load it. Loading it made the modifications 100% successful while continuing was around 70%. I did turn the hunter's Axe into every combination there, just to let you know it will not net you the trophy for all weapons. Awesome! Glad it worked. This would make starting NG with different builds much more enjoyable, since you don't have to finish half the damn game before you get your weapons! 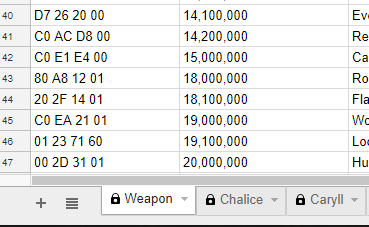 My personal favorite is to get a level 10 beast claw, it's explained as to how to make certain levels in the spreadsheet, and just equip some runes that will help me deal 12k+ damage. Been playing online with this stuff for about two days now and no ban surprisingly.